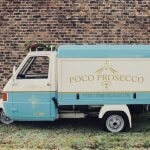 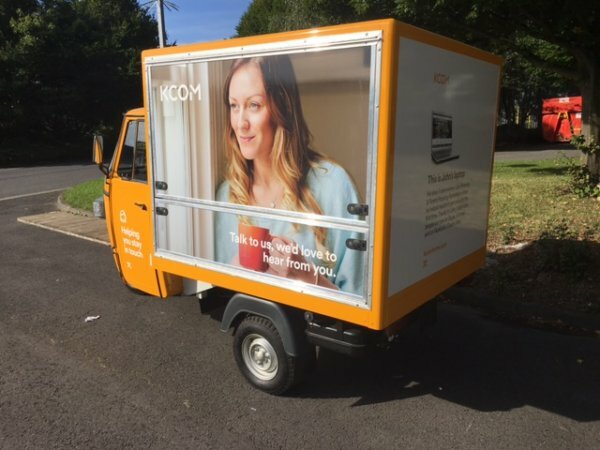 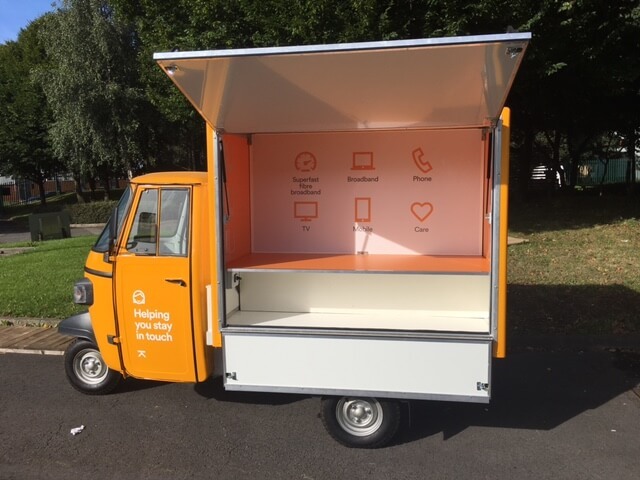 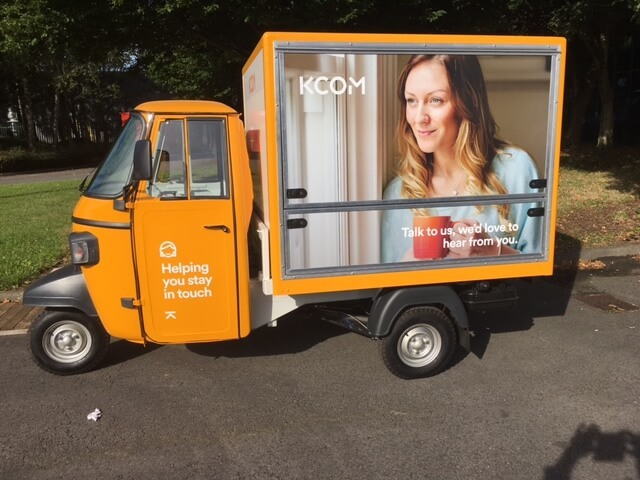 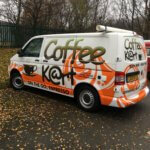 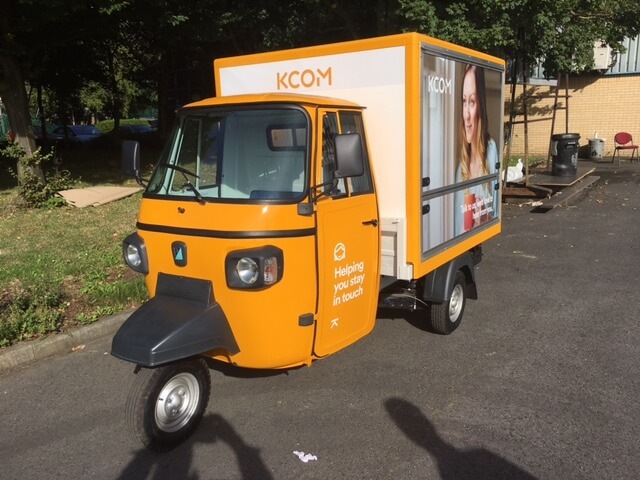 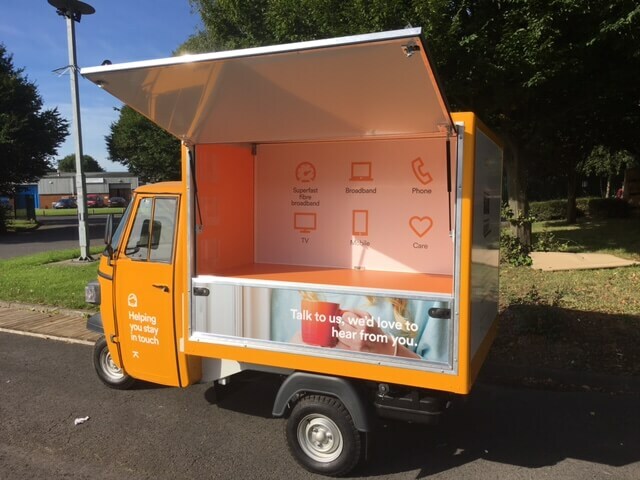 The Big Coffee is incredibly proud of creating this mobile marketing unit for KCOM. 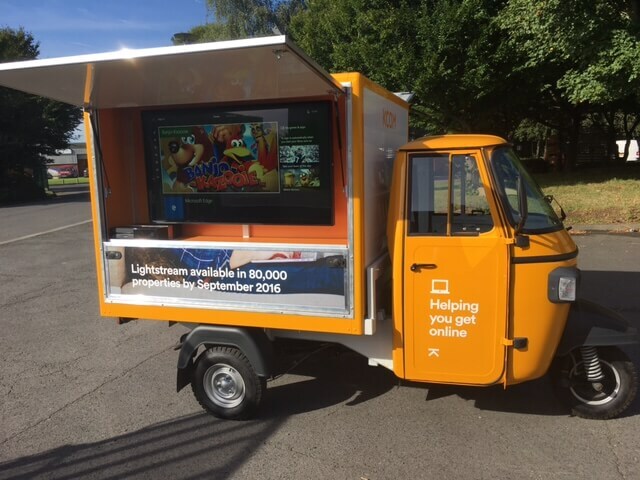 Spreading the word via unique marketing material and an in-built TV screen showing the people of Hull what’s new, what’s on and what’s happening in the City of Culture! 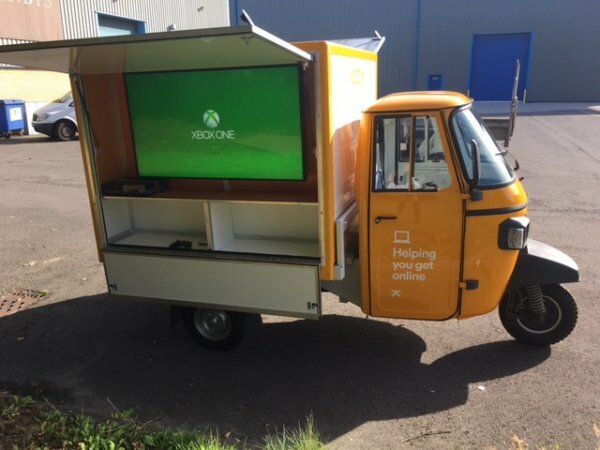 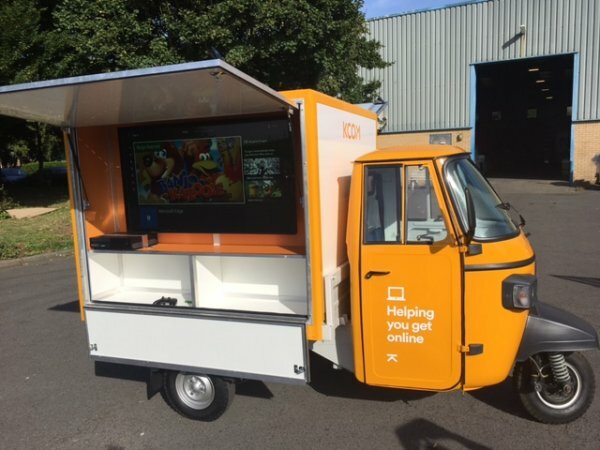 The KCOM van features a very bright 55 inch screen, a top of the range Xbox making the van even more interactive. 3 leisure batteries power the screen making it versatile and totally self reliant.